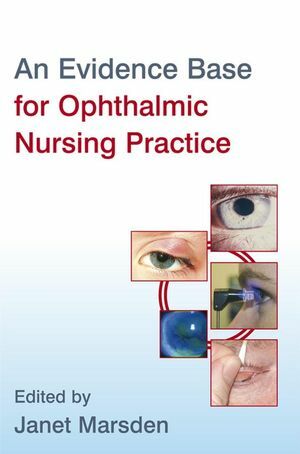 The first reference of its kind, An Evidence Base for Ophthalmic Nursing Practice alleviates the need for every ophthalmic practice area to develop diverse, often contradictory, guidelines. This book informs guidelines and protocols and provides up to date, evidence based information, covering: condition management (lice infestation, conjunctivitis, recurrent corneal erosion, removing foreign bodies, chalazion, pain management, acute glaucoma); techniques (padding, taking eye swabs, irrigation, administering eye drops, keratometry); and other topics, including papillary dilation, standards for driving, screening, topical anaesthesia and the eye, and prescribing. Janet Marsden is former Chair of the Royal College of Nursing's Ophthalmic Nursing Forum, and a Postgraduate Programme Leader at Manchester Metropolitan University.